Occupational therapy helps people to take part in everyday activities that are important to them. It focuses on adapting your environment, reviewing how you carry out activities, and teaching you and your family new skills, in order to live your life as fully as possible. At St. Francis Hospice, Occupational Therapists work with people of all ages whose ability to function as they wish, is affected. 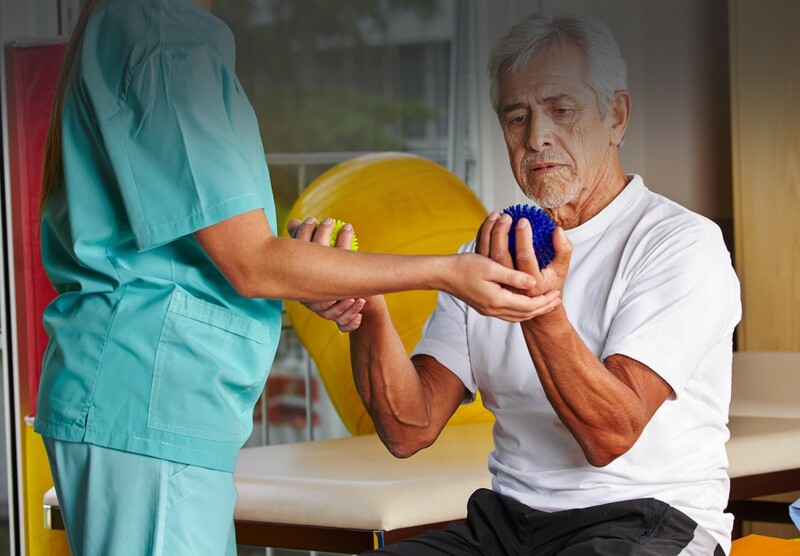 Occupational Therapists work with patients throughout all stages of their illness. Interventions take place with patients and carers to improve independence for self-care, work and leisure activities. Goals are set with patients and treatment is provided to achieve better function, comfort and well-being. Occupational Therapists work as part of a multidisciplinary team at St. Francis Hospice. The service is offered to patients in the Inpatient Units, Outpatient Service and Hospice Day Care. Assessment for specialist chairs, including comfort chairs, wheelchairs, incorporating support and pressure relief, to maximise function and comfort. Interventions to help you complete day to day tasks, such as washing, and dressing, and preparing meals. This may include equipment and adaptations to help make tasks easier. Education and practical advice to manage symptoms such as breathlessness, pain, fatigue and anxiety, especially when carrying out everyday activities. Therapeutic groups and exploration of leisure interests such as gardening, baking and reminiscence to improve mood and quality of life. Home assessments as required to facilitate discharge or visits home, and to assess the need for equipment in the home. Staff members working in Hospice Day Care, the Outpatient Service, the Inpatient Units and the Community Palliative Care Team can request occupational therapy on your behalf.